Tolerances on blade manufacturing tightened as OEMs drove to differentiate themselves by offering high performance lawn and garden products. To achieve customer goals, Blount International knew they had to incorporate more automation into their quality inspection process. Article by Mark Thomas, Marketing Director, OGP. As a leading manufacturer of equipment, accessories and replacement parts for the lawn and garden market, Blount International was looking to improve their profitability and exceed their customer delivery expectations. They were faced with the problem of how to economically produce a variety of nearly 1,900 different OEM lawnmower blades. The large selection of blades required by their OEM customers meant short production runs and multiple tooling changes each day. Their goal was to improve product quality while controlling costs and meeting shipment commitments. Tolerances on blade manufacturing tightened as OEMs drove to differentiate themselves by offering high performance lawn and garden products. To achieve customer goals, Blount knew they had to incorporate more automation into their quality inspection process. The company had always used traditional methods of measurement such as hand callipers and height gages to verify the conformance of its mower blades to customer specifications. The company’s Engineering Manager, Brian Brunk, believed that complex product features could be measured more efficiently with a 3D metrology scanner that can quickly and accurately verify part dimensions, regardless of shape complexity. A ShapeGrabber 3D scanner from OGP was selected because of the ability to provide fast, accurate, noncontact measurements of nearly any material or shape without the need for special tools or fixtures. The scanner was also large enough to handle the largest Blount product offering. Compared to conventional tactile CMM techniques, measuring one point at a time, 3D scanners capture millions of surface points on even the most complex geometry parts, and can quickly compare the results to a CAD design. Deviations from the CAD design are easily identified, making tooling acceptance decisions fast and accurate – meaning part production can start sooner, and with higher confidence. For in-process inspection, the ShapeGrabber system has been proven to be easy-to-use and highly automated. After an initial scan, the same scanning parameters may be used for subsequent parts, delivering consistent results irrespective of operator skill or experience. 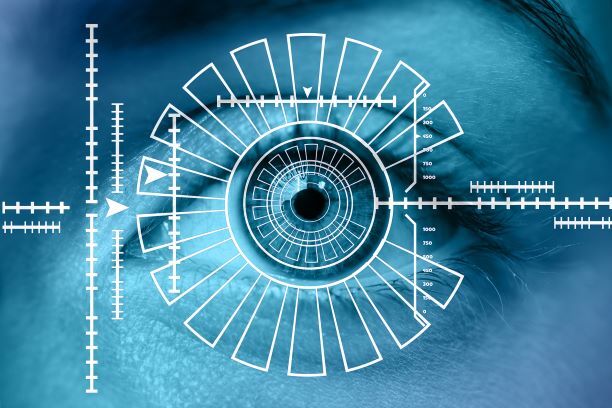 Ease-of-use is manifested daily as dozens of production personnel routinely use the scanner, each having just minimal training. An unexpected benefit of the ShapeGrabber scanner system has also been reported: it is supporting a “culture of quality” at Blount. Employees are taking more ownership of the products and their quality. “The 3D scanner has engaged the people who use it more than they were engaged before. Now, we see employees taking more ownership of the products and their quality throughout the manufacturing organisation,” remarked Mr. Brunk. Melbourne-based Sutton Tools has never been hesitant about the expansion of its global markets. To its credit, the manufacturer has recently delivered increased productivity gains for a European aerospace customer. Several aerospace component producers in France had been buying a competitor’s brand, leading the Sutton Tools European office to identify an opportunity to manufacture a better performing solution and in doing so, win the business by delivering a 20 percent productivity gain for the customer. Continual demand to lower costs through productivity is a key issue for the aviation and aerospace industries, with customers emphasising the need for reliance on tool stability so they can confidently forecast their production schedules and reduce machine down time. “We recognised that development of specific aviation industry cutting tools is critical. These tools need a longer life and faster cycle times when working with high strength materials such as titanium and Inconel,” Mr Boyd said. 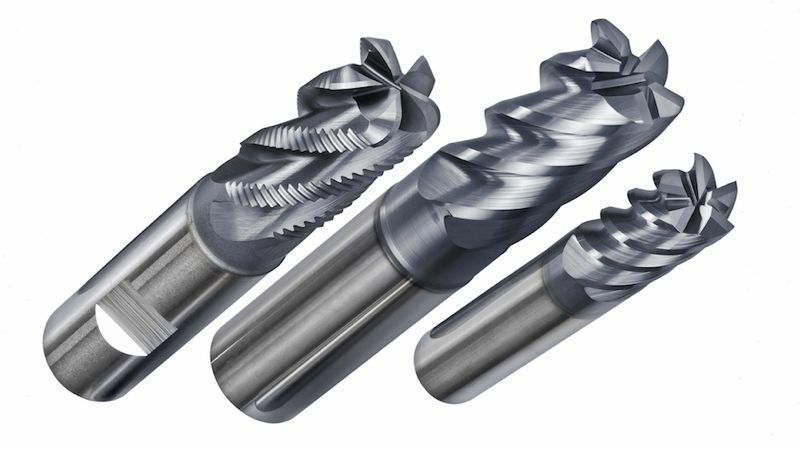 “The customer’s needs focused on solid carbide milling cutters between 12 to 20 mm that could deliver stable performance across a range of applications,” recounted Mr Boyd. The search commenced for a solution with full understanding that the demands of the industry meant that the company had to push the boundaries of its design and manufacturing technologies across its entire knowledge base of microgeometry, materials, coatings and micro-finishing of surfaces. The engineering team at Sutton Tools focused on the need for a smoother, high precision surface finish which would also strengthen the adhesion of the tool coating. To achieve the high finish needed, test results were compared from grinding tools using the tool maker’s traditional Anca ball-screw movement machines with an Anca linear motion tool grinder. The team also experimented with different grinding wheel grades and grinding parameters to determine the best possible finish. After studying surface roughness of the tools, it was discovered that the output from a linear motion grinder could achieve a higher accuracy of surface finish than ball-screw machines. To validate grinding methods, an optical 3D scanning technique was utilised to measure the surface area roughness at 100-1 magnification on the rake face and cutting edge on the tools. This 3D technique enabled the quality levels to be managed to a considerably high level of accuracy. “The intensive engineering approach by our team produced a successful outcome for the customer by improving their productivity,” Mr Boyd stated, adding also that such a process has effectively demonstrated that Sutton possesses the capability of being a reliable aerospace industry supplier. While Sutton Tools operates advanced manufacturing facilities in the Netherlands and India, it is the Melbourne factory that has carried out the whole evaluation process and produced these application-specific end mills for the French aerospace market. In the past, titanium was not easy to machine. However, since this material has been adopted in many industries, the experience amassed by fabricators gives us lots of titanium machining insight. Today, titanium can be fabricated just as simply as stainless steel. Recommended cutting speed. This should be less than 60 m/min for roughing and three to four times that when finishing. Otherwise, thermal softening as well as chemical reaction between tool and workpiece, may occur. Feed rates are entirely dependent upon chip loads as well as other elements, but should be large enough to prevent work hardening. Follow cutting tool manufacturers’ recommendations. Titanium conducts heat very slowly. During machining operations, poor thermal conductivity traps heat in the work zone, severely compromising cutting tools. If your machine setup can handle the additional load, consider raising the feed rate to transfer more heat into the chips. High heat and stringy chips. Because of this, a copious flow of clean cutting fluid is required. Titanium is extremely tough. Use positive rake geometry. The cutting tool must be sharp and should have a tough substrate and hard coating. Filtration to 25-micron or better is critical. Increasing its concentration to at least 10 percent, and installing a high-pressure pump of 500 psi or more removes chips from the work area. Using coolant-fed cutting tools with inserts enhances chip control. Investing in a high-quality machine tool is key if you are serious about titanium. 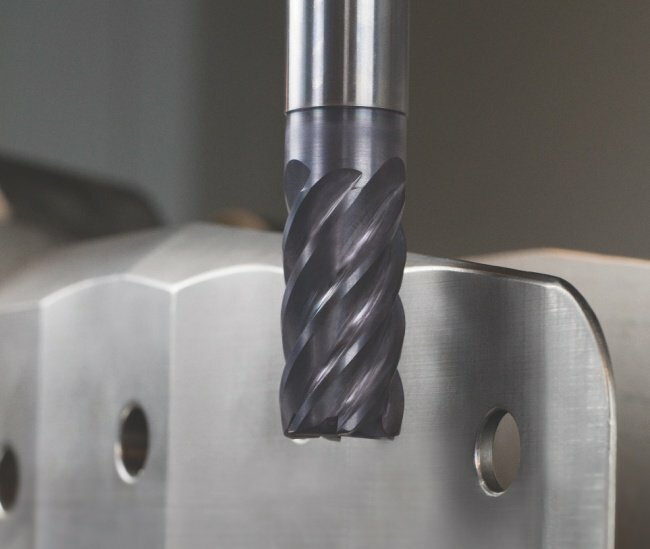 Titanium will grab end mills under heavy loads. This leads to scrapped workpieces and broken tools. Getting no-fail toolholders for your cutters, and hydraulic vises with hardened and ground jaws for clamping titanium parts, remedies the issue. Develop a sound machining procedure prior to the first cut. All of the part features should be analysed, taking special consideration of unsupported areas, tall or thin walls and difficult to reach features. Planning your moves carefully by utilising the right cutters, feeds and speeds, and generating toolpaths helps meet the above conditions. GOM has developed the V8 version of its measurement and evaluation software, GOM Inspect Professional. One of the functions enables the tracking of movements and deviations in real time. The live module allows Atos 3D scanners to trace single points as well as complete component geometries in space. 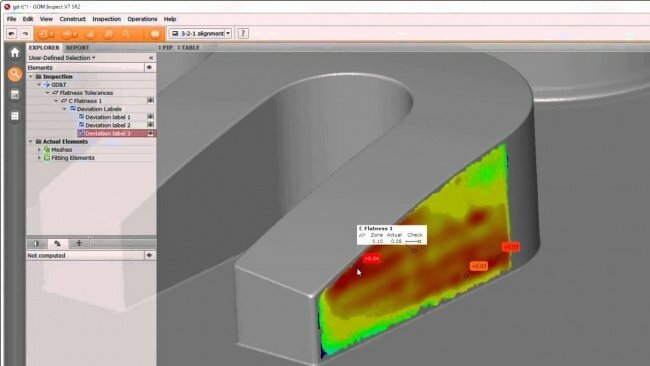 In addition, the software simplifies the analysis of recurring structures, which often occur on mould cavities, gears or connectors. Using the cluster analysis, a complete set of evaluations can be marked and shifted to the next position within a structure. At The push of a button, the software recalculates the individual inspection elements. In this way, the entire inspection process for recurring structures can be repeated quickly. scanner captures the entire surface of the component. This results in a higher density of information. The user gets an exact 3D image of the measuring object with a colour map showing the deviations from CAD-data. The 3D scanner comes with two 16-megapixel-cameras and is characterised by a detail resolution and an accuracy previously only known from coordinate measuring machines. 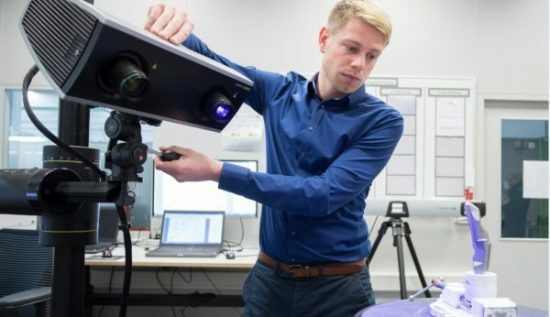 Florida, US: 3D measurement solutions provider Faro Technologies has acquired laser scanner manufacturer Nutfield Technology to expand its presence in key markets, as well as to improve upon its current product lines.